It all started with Nirvana. It was 1995 and I was 14 years old – already a year too late to actually see the band in the flesh. Instead, I wore out VHS tapes of their incendiary live performances. Unlike the Metallica and Guns N’ Roses material I’d tried to get my fingers around on a £17 catalogue guitar a few years earlier, it didn’t take long to work these songs out. And once I did, I had to form a band, immediately. By far the coolest guitar onscreen was Kurt’s heavily modified, left-handed 1965 Fender Jaguar. With those DiMarzio pickups and all that gaffa tape and chrome, there was something alluring and dangerous about this mongrel instrument that seemed to explode in his hands. That was the first time an offset-body guitar really appeared on my radar. Later, it became clear that there was a common thread of rebellion and outsider status running through the players I began listening to who gravitated towards these guitars – Elvis Costello, J Mascis, Thurston Moore – and I also realised that the reverb-drenched twang and tremolo throb of surf was powered by the very same instruments. Here in 2019, thanks to the Instagram generation, offsets have never been more mainstream. ‘Jazzmaster’ is one of the most frequently searched terms on buying sites and an almost innumerable array of boutique builders have sprung up touting their takes on Leo’s oft-misunderstood electrics. 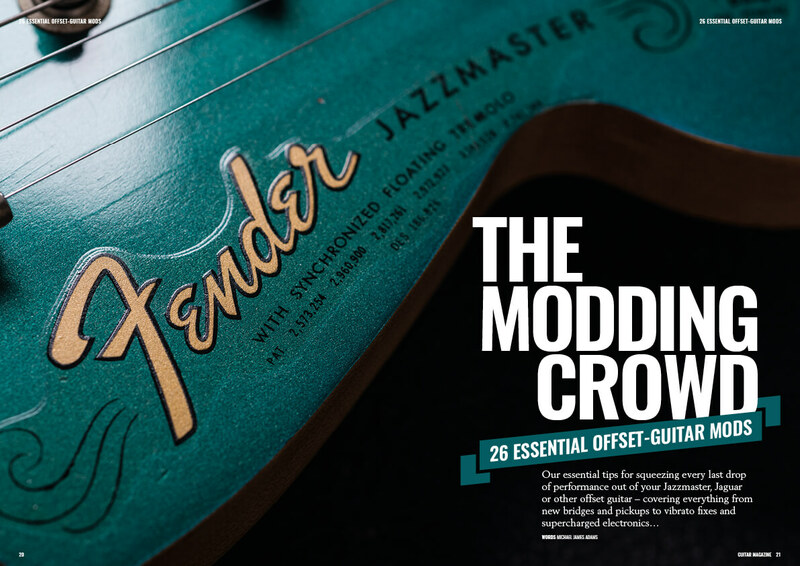 And Fender has more offsets in its catalogue than ever. 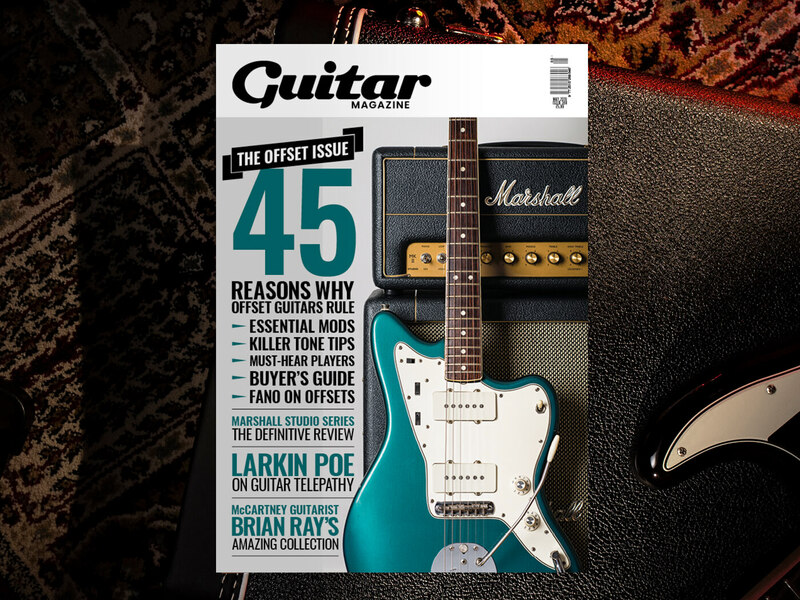 In this issue, we’re celebrating all things offset with essential mods, tone tips, must-hear players, a premium offset buyer’s guide and more besides. 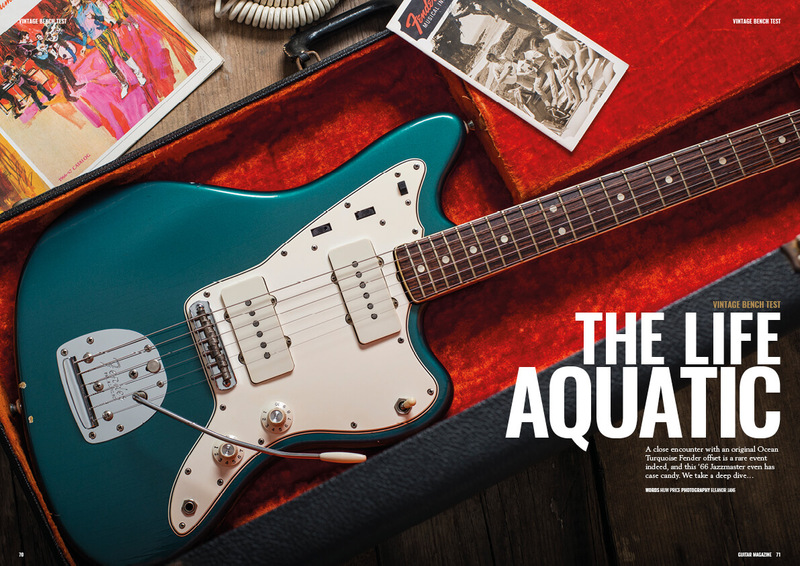 We also get up-close and personal with an insanely rare 1966 Jazzmaster in Ocean Turquoise and speak to the man who kickstarted the boutique offset trend before social media existed – Dennis Fano. Finally, when it comes to outsider music, there’s nothing more stark and evocative than the music of the Delta blues originators. Click here to see more of the guitar I was lucky enough to wrap my hands around: ‘Hard Rock’, Bukka White’s 1933 National Duolian. ‘Spine-tingling’ doesn’t come close… enjoy the issue and I’ll see you next time. 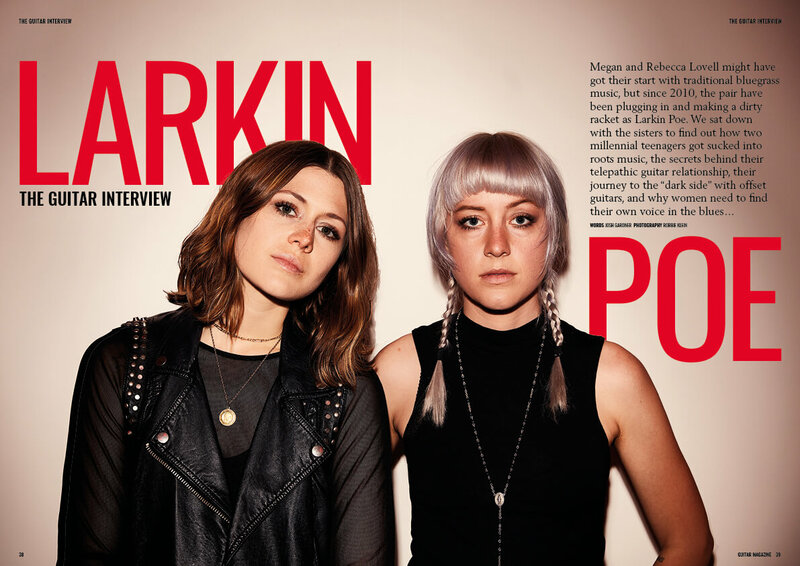 Megan and Rebecca Lovell are sisters who have been plugging in and making a dirty racket as Larkin Poe. We steal a chat with the ladies on their guitar relationship, their bluegrass roots and why women need to find their own voice in the blues. From swapping bridges to complex circuitry mods, we present 26 tips on how to make the most of your Jazzmaster, Jaguar or any other offset guitar.